Mark Zuckerberg, founder of the social networking site Facebook, said that all the emails and signed documents that are apparently the bases for a lawsuit filed against the young social media tycoon are fabricated. These statements are a part of the papers filed in the federal court in Buffalo by his lawyers Thursday. The lawsuit was filed by Paul Ceglia and Zuckerberg’s lawyers want to gain access to the materials as soon as possible. They also want to check Ceglia’s computer and other electronic media. Zuckerberg has said under oath that he did not sign nor has any knowledge of a contract Ceglia attached to his complaint. He also said that he did not send nor receive any emails to and from Ceglia. Zuckerberg’s lawyers said that it was a cut-and-paste job and all the emails have been fabricated. They also said that the lawsuit is a fraud. On the other hand, Ceglia insists that he and the founder of Facebook signed the contract after Zuckerberg responded to his add in Craigslist. Zuckerberg was still a Harvard student then and Ceglia said he paid him $1,000 to work on a street-mapping project and added another $1,000 to fund the beginnings of Facebook. Ceglia said that they had a deal that he will take half of the earnings should Facebook take off. Dennis Cacco, Ceglia’s lawyer, said that they agree with the Zuckerberg’s team that they should move along with the process as soon as possible. 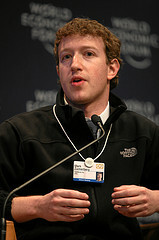 Vacco said, however, that they could not disagree more with Zuckerberg’s characterization of their document. He added that they gave that so-called expert opinion without even taking hold of the actual documents. Joe Campo - who has written 50 posts on Your Daily News Fix.